The 1937 disappearance of pioneer pilot Amelia Earhart and her navigator Fred Noonan in the Pacific Ocean has been the subject of continuing research, debate, and speculation—most recently in a show titled Amelia Earhart: The Lost Evidence. I wrote an in-depth analysis of the show; here's an excerpt: If the photo is what it’s claimed to be, it means that the “lost” pair were alive and well on a dock in the Marshall Islands in 1937. That still doesn’t fully explain where they went after the photo was taken, and as noted the show suggests they were captured by the Japanese and died in prison on Saipan—a fact that the U.S. government knew about and covered up. To be clear, this idea is not new and is only one of many theories put forth over the years—and widely rejected for lack of evidence. While Earhart’s precise fate remains unknown, the most widely accepted explanation is also the most mundane: they ran out of fuel and their plane crashed into the vast Pacific Ocean. In an effort to breathe life (and ratings) into a theory heavy on speculation but light on evidence, the History Channel offered what they claimed was something akin to a smoking gun: a blurry photograph of what might or might not be Earhart and Noonan. Doubts were raised about that explanation before the show aired and quickly escalated afterward. 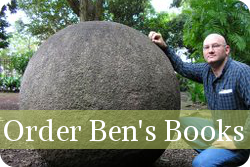 As National Geographic explained, “New evidence indicates that the photograph was published in a 1935 Japanese-language travelogue about the islands of the South Pacific. As Japanese military history blogger Kota Yamano noted in a July 9 post, he found the book after searching the National Diet Library, Japan’s national library, using the term ‘Jaluit Atoll,’ the location featured in the photograph.” Instead of being hidden in a secret archive deep in the guarded National Security vaults, the image popped up on the first page of search results: “His search query turned up the travelogue, The Ocean's ‘Lifeline’: The Condition of Our South Seas, which features the ‘Earhart’ photograph on page 44. One translation of the caption describes a lively port that regularly hosted schooner races—with no mention of Earhart or Noonan to be found. Page 113 of the book indicates that the travelogue was published in October 1935.” This of course poses a problem because the photo was published two years before Earhart’s final flight. It’s almost certainly not Earhart but even if it was, it has nothing to do with her disappearance. Displaying keen investigative acumen, Yamano said in an interview “I find it strange that the documentary makers didn’t confirm the date of the photograph or the publication in which it originally appeared. That’s the first thing they should have done.” To be fair, the entire show does not stand or fall on the photograph’s authenticity. The show’s producers likely knew that the photo itself might not be entirely convincing and suggested that there was hard forensic evidence to support the theory: bones found on the island where Earhart supposedly died were to be subjected to genetic testing and compared to Earhart’s known relatives to prove she was on the island. 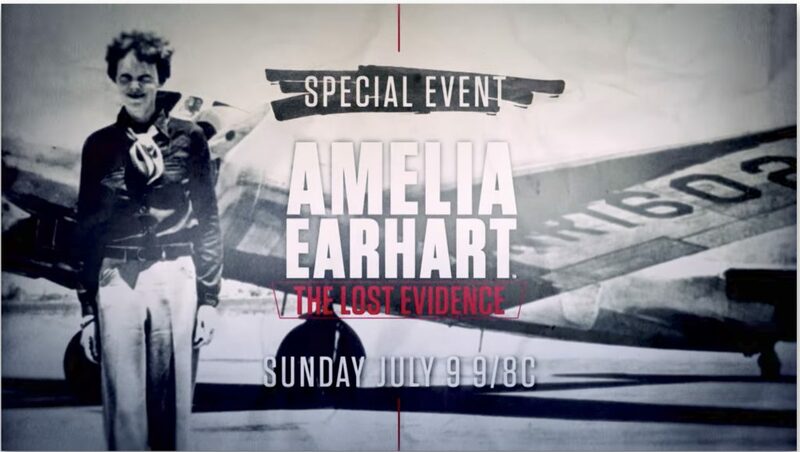 As Eve Siebert noted on the July 12 episode of The Virtual Skeptics podcast, “I’m assuming that this did not actually happen because if they were able to identify bones buried on Saipan identified as Earhart’s, they really buried the lede by focusing on that blurry photograph.” The History Channel promised viewers in a July 9 tweet that “After tonight, the story of Amelia Earhart will no longer have a question mark.” This prediction turned out to be prophetic; indeed, the single question mark has since been replaced by dozens of question marks—ranging from the integrity of the History Channel to the competence of its on-air researchers. (If it’s any consolation, the recent show almost certainly supplants a 2012 show that Skeptoid’s Brian Dunning called “one of the worst examples of television promoting pseudohistory.”) You can read the rest HERE. You can find more on me and my work with a search for "Benjamin Radford" (not "Ben Radford") on Vimeo, and please check out my podcast Squaring the Strange! Commentary on ‘Blue Whale’ Suicide Game What’s the Harm in False Beliefs? How Much Time Do You Have?